First-time buyers: is now the right time to get a mortgage? Rising house prices and mortgage rate increases will mean first-time buyers in 2023 face paying £3,500 more on their home loans each year. That’s according to a new report by estate agency group Savills, which says buyers face a ‘big barrier’ to getting on to the property ladder over the next five years, with affordability more stretched than before. The agency also predicts that the house price gap between the North and South of England will start to close. Here, we assess the report and consider whether now is the best time for first-time buyers to get a mortgage. Savills predicts that the average first-time buyer home will cost £205,000 in 2023, £62,000 more than it cost in 2013. 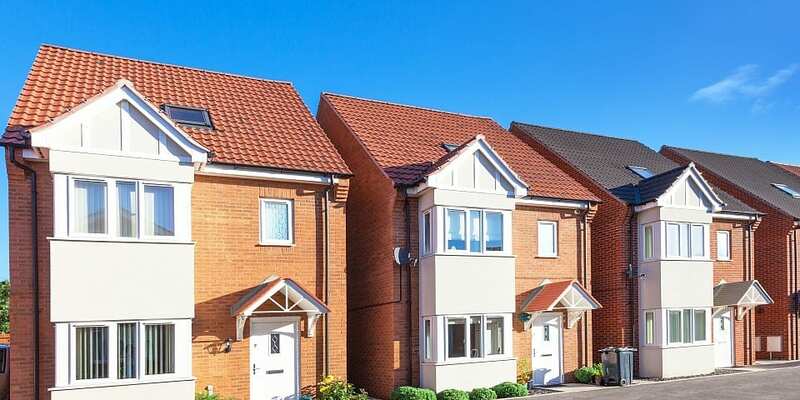 Its new report, which is based on data from UK Finance and Oxford Economics, claims that higher house prices will mean first-time buyers could need household incomes of around £50,000 in 2023, up from £35,400 in 2013. And as well as struggling to raise enough for a deposit, people buying their first homes could face higher mortgage repayments. Savills predicts that the Bank of England base rate, which is currently just 0.75%, could rise as high as 2.75% by 2023, resulting in an average mortgage rate of 4.2%. This could theoretically mean mortgages cost thousands of pounds more. The situation would be most keenly felt in the capital, where first-time buyers could end up paying as much as £19,000 a year in mortgage repayments. Are longer-term mortgages the answer? Savills bases its calculations on a 25-year mortgage term, but there are already signs that first-time buyers are taking out longer mortgages. A report released by UK Finance last year found that one in six mortgages was granted with a term of 35 years or longer, up from one in 15 a decade ago. Last month, we analysed which lenders offer the longest mortgage terms, and found that 34 banks and building societies claim to offer mortgage terms of up to 40 years. However, when we contacted them, many of the larger lenders wouldn’t be drawn on how many – if any – mortgages they had actually approved with terms beyond 35 years. Is now the time to get a 95% mortgage? While the Savills research paints a bleak picture for first-time buyers, those who are able to buy now can obtain an attractive mortgage rate, even if they have a small deposit. Which? research conducted earlier this month discovered that while mortgages were becoming more expensive for the majority of homebuyers, lenders were offering a greater number of deals for first-time buyers with 5% and 10% deposits. As the table below shows, the mortgage market for first-time buyers with 5% deposits has been buoyed by a 44.5% increase in products. This growth in the number of deals was coupled with a drop in rates. The cheapest initial rates for buyers with a 5% deposit dropped by 0.41% (two-year fixed-rate deals) and 0.3% (five-year fixes) in the space of a year. Of course, even if you can get a mortgage at four or four-and-a-half times your annual income, you’ll still need to be able to find an affordable property, a feat that’s easier said than done in some parts of the country. Overall, Savills predicts that house prices in the UK will rise by 14.8% in the next five years, with cheaper areas such as the North of England, Wales and the Midlands enjoying the biggest price growth. The chart below shows that Savills believes traditionally expensive areas such as London and the South East of England will only see single-digit price increases between now and 2023. Find out more: how will Brexit affect house prices? When will house prices increase by the most? So when should you buy a house? Savills predicts that overall prices will increase at the fastest rate in 2020, with 2019 likely to see only modest growth. The agency says that house prices across the UK could rise by an average of 4% in 2020, with the North West enjoying chart-topping rises of 6%. If you’re hoping to buy your first home and want advice on how much to save, when you should buy, or which mortgage is best, help is at hand. Which? Mortgage Advisers is an expert, independent mortgage advice service which you can call for a free chat, no matter what stage of the home-buying process you’re at. You can call the friendly team for advice on 0800 197 8461 or fill in the form below for a free call back. Calculator: when will you have saved enough deposit?